As part of developing your work plan, you must check your site in detail. Research it by seeking out existing information from all relevant potential sources – scientists, waterway engineers, files held by your company or by relevant agencies, and so on. You must also visit the site. Doing a walk over is the only way to confirm that your planning is appropriate for that particular environment. Different waterway sites are very different, even along the same stretch of river. Plan your work to minimise disturbance of the bed, protect water quality from runoff over disturbed land (Source: Downer Limited). The preferred approach is to avoid works in and around watercourses wherever possible, unless the work involves naturalising boxed drains or other habitat and amenity improvements. 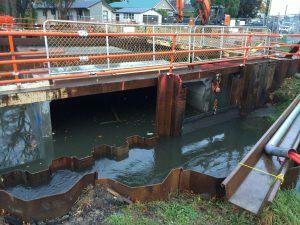 However, when your project has to include work in or near a waterway, plan that everyone and everything stays out of the water as much as possible! Your goal is to minimise the disturbance of the wet area, bed and banks, water flow and other works in the water. Plan sensible locations for storing plant and equipment, including where the re-fuelling station will be if the project is long enough to need this. Affect any fish passage as little as possible. 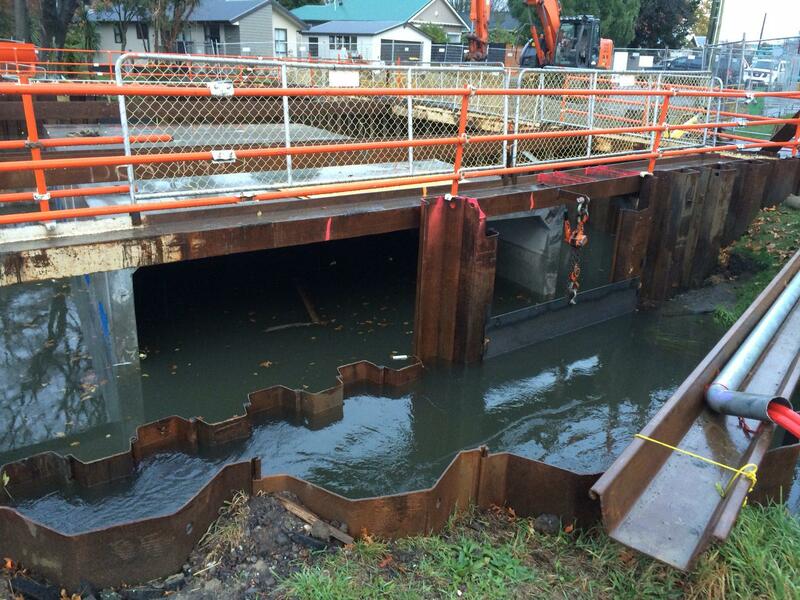 Be prepared to suspend work and withdraw equipment to protect water quality (Source: Downer Limited). If possible, choose an appropriate time of year to do your project. If there is a predictable time or period when the waterway is likely to be dry or have significantly reduced flow, aim for this time. Less sediment will be discharged during a drier time. Other seasonal variants that are site specific can include spawning and migration seasons for particular fish species, bird nesting seasons and the distances that you are required to keep away from those nesting areas, waterflow and flooding patterns and tidal and wave action patterns (in estuaries). The Department of Conservation, Fish and Game New Zealand, scientists and regional council and Christchurch city park rangers can help identify relevant seasonal factors for your site. Understand the complexity of the waterway you are working in, including inflows from all sources. Other works that may be happening upstream or downstream of your project, eg by other councils or their contractors. 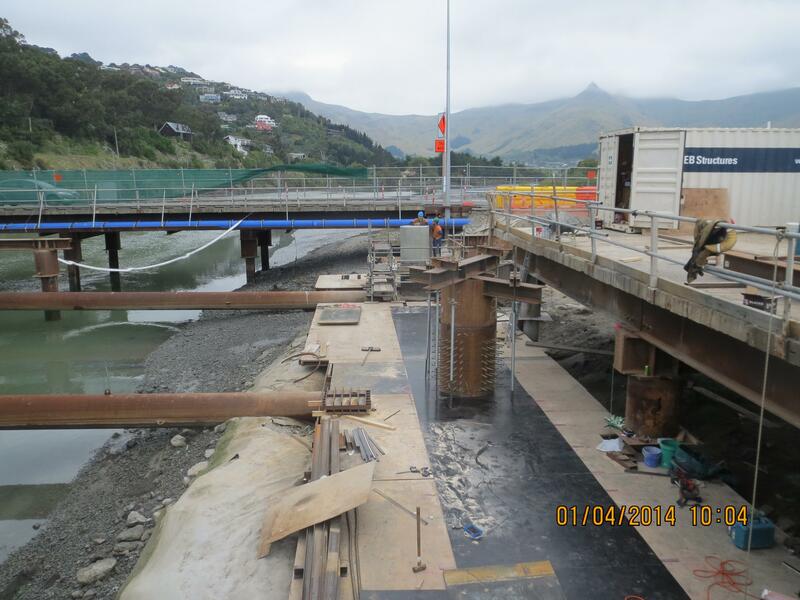 Construction of the Ferrymead Bridge—contractors took considerable care to protect the Estuary of the Avon and Heathcote Rivers/Ihutai, including practicing hydrocarbon spill response. If your site is defined as a ‘high naturalness’ waterway or catchment, you need to plan to treat it with particular care. Use Environment Canterbury’s online Stock Exclusion Rules map to check. Click on the Layer List button to display relevant layers, including ‘High naturalness water bodies – lakes’, salmon spawning sites and inanga (whitebait) spawning habitats. Areas which are not classified in this way, eg drains, are still important and you need to apply the standard principles in this section. Know the details of the resource consent for your project. If consent is not needed, be aware of the relevant Permitted Activity obligations. Risks and emergencies, eg flooding, mechanical problems, re-fuelling, spills, incidents, discovering historical or cultural artifacts, contaminated or hazardous material, or other accidental discoveries. Biosecurity – avoid introducing pest plants and animals to waterways. What can you do to keep equipment and materials clean? Do you need a washdown area? Or do you need to allow time and room for brushing down materials that have come from the yard or another site, eg sheet piling. Re-fuelling distance – at least a 20 m separation from the water is best, or in accordance with the relevant resource consent. If it is not possible to refuel equipment outside the minimum separation distance, you’ll need to put extra contingencies in place to prevent and manage spills. Isolate the worksite from the rest of the waterway if possible, eg by a coffer dam or curtains. Carry out all or as much as possible of the work without putting equipment into the water or disturbing soil or rock below the waterline. If this has to happen, minimise it. 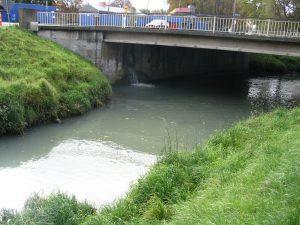 If you are dewatering a section of waterway, plan the methods for the rescue and relocation of fish. For example, this might involve electrofishing. Get expert advice early on in your planning. If using any hazardous materials, eg putting cement in the water, plan for hazardous substance management and monitoring effects on the waterway by checking and comparing upstream and downstream (eg pH). Clearly define – and stabilise – the site access points. Plan to stabilise disturbed areas as quickly as possible. Plan the timetabling of the project activities. Following the general principles of erosion control, plan how you will do site earthworks in sequence so that you can work on then stabilise different parts of the site at different times. Work to weather conditions where possible, or allow extra time to apply the stabilisation and other techniques that will achieve your goals even when the season and other conditions are not ideal. Identify which types of skills and experience you will need on site and confirm the availability of relevant staff. Identify the appropriate plant, equipment and tools to do the job – if these are the appropriate scale for the job and the site, site disturbance is minimised, making your job easier. If working on boggy ground, you may need swamp pads to protect the delicate soil. Provide appropriate equipment, eg provide waterway spill kits (usually white) not marine spill kits (usually grey). Identify and make contact with your key stakeholders (interested parties). These are likely to be a mix of official organisations and local individuals or groups. For example, if there are specific cultural, economic or community values associated with your site, stakeholders from these areas need to be involved. Or circumstances are affected by whether it is a ‘natural state’ or ‘high naturalness’ waterway. Use Environment Canterbury’s online Stock Exclusion Rules map to check. Click on the Layer List button to display the ‘High naturalness water bodies – lakes’ layer. The Harbourmaster – who may also be able to connect you directly with all known stakeholders. See this information about and contact details for Environment Canterbury’s harbourmaster office. 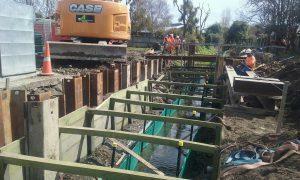 Notifying Environment Canterbury or the relevant territorial local authority of the start date.